Whilst America has always done things on a grander scale – the average NCCA College Football game has a larger crowd than the English FA Cup Final – the primary American sports have never quite taken off in the UK as maybe they should have. Until recently. Of course many people in England will argue that they have followed American sports “for-like-ever”, but I’m talking about the reach to the casual fan – which for the majority of sports I fall into the category of. Until recently. Again. I’ve always been keen on sports and commentating on matches, players and results alike. Though I’ve never offered my opinions to anyone other than my friends and family (and the few rouges that follow me on twitter now and again). Having been born in Toronto, I’ve always had an affiliation to support their representative sides in the North American sports leagues, checking in on their progress through the season and catching the odd NHL, NBA, MLB or MLS fixture when they were shown on British TV. I’ve been fortunate enough to have visited America and Canada a couple of times previously and have loved the enthusiasm for sports everywhere I’ve been, but having returned to the Six for the first time a few years ago my love for the North American way of living was re-affirmed and my following of American leagues cemented. Having followed most of the professional leagues on and off for a couple of decades, my intensified interest and desire to comment on these sports increased. Having always battled against the feeling that as a Brit my opinion was invalid in comparison – maybe with the time zones I’ve missed something important? Maybe I haven’t read every article I could have to catch up on the results and news from the day/week before? – I thought now was a good time to suppress those feelings and offer a different viewpoint, maybe one that may be of interest to those in the States – a view from the East of the Atlantic. A British viewpoint on American sport. Without being overly certain as to how I’ll manage the blog, hopefully the access to a blogspace is a starting point to be able to pen some thoughts and opinions from this side of the Ocean. I am sure there will be opinions that won’t be agreed with and hopefully some interesting debates will follow. I’m not looking to be a ‘breaking news’ reporter, or be the voice of anyone else in the UK – all views will be my own and most topics will likely be ‘old news’ to others – but I’m looking forward to having more purpose to my passion and making the most of a platform to voice an opinion of all things sport on the Western side of the Atlantic. 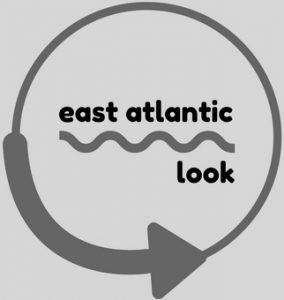 I have plans for some interesting contact so hopefully in time they will transpire but in the meantime it’s just me, my mac and the East Atlantic Look. Next Post A UK based social commentator on all things American Sport? #2 Is growth good?